All of our Inferno recorders have been upgraded to the latest firmware, which includes RAW-to-ProRes RAW from the EVA1 in 4K up to 60FPS and 2K up to 240FPS. It also includes Sony RAW loop-out support, ARRI RAW support, HLG support for the Panasonic GH5/GH5S, and more. 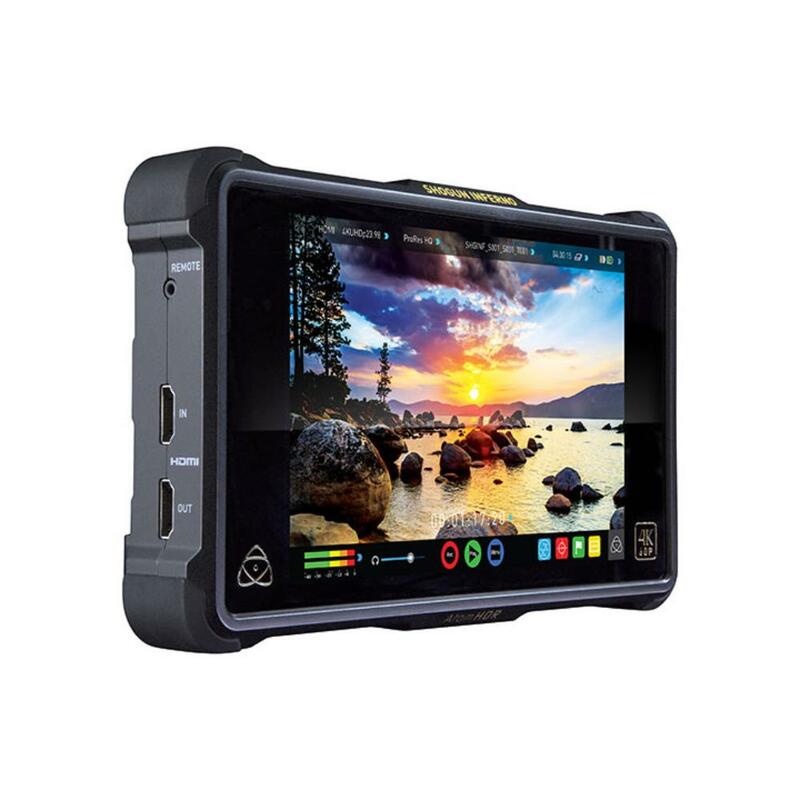 The Atomos Shogun Inferno 7" 4K Recording Monitor is 4K RAW-ready with cameras such as the Sony FS700, Sony FS7, Canon C300 Mark II (in EF mount and PL mount), and the Canon C500. It is equipped with quad SDI and HDMI 2.0 with no up or down scaling for true 4K recording. 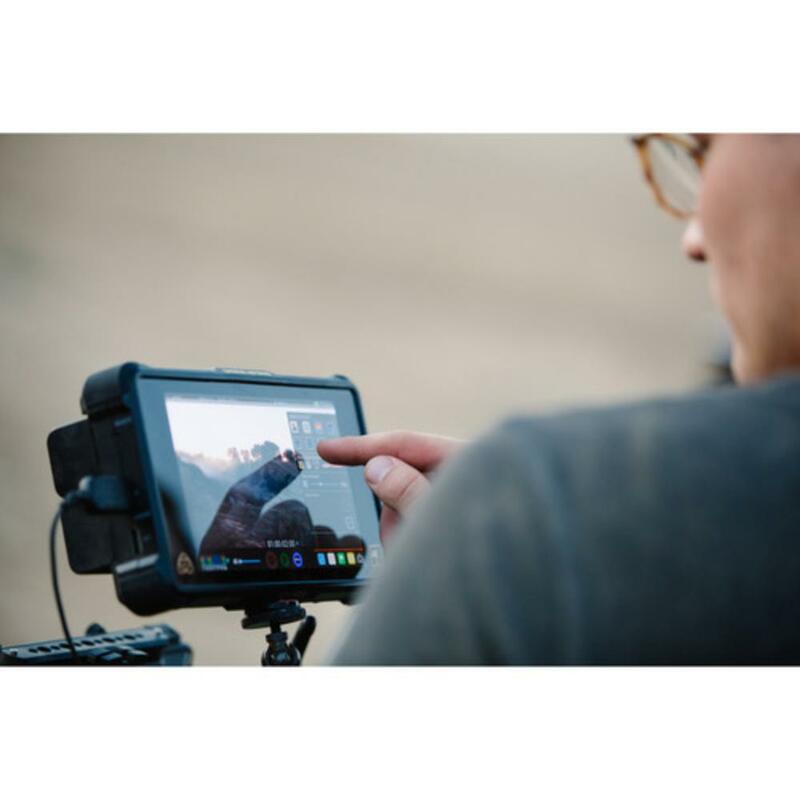 It also supports a 10-stop brightness range for accurate monitoring of log gamma footage without having to use a LUT to compress dynamic range and color space. The built-in presets will translate popular log formats from Sony, Canon, ARRI, RED, and more. 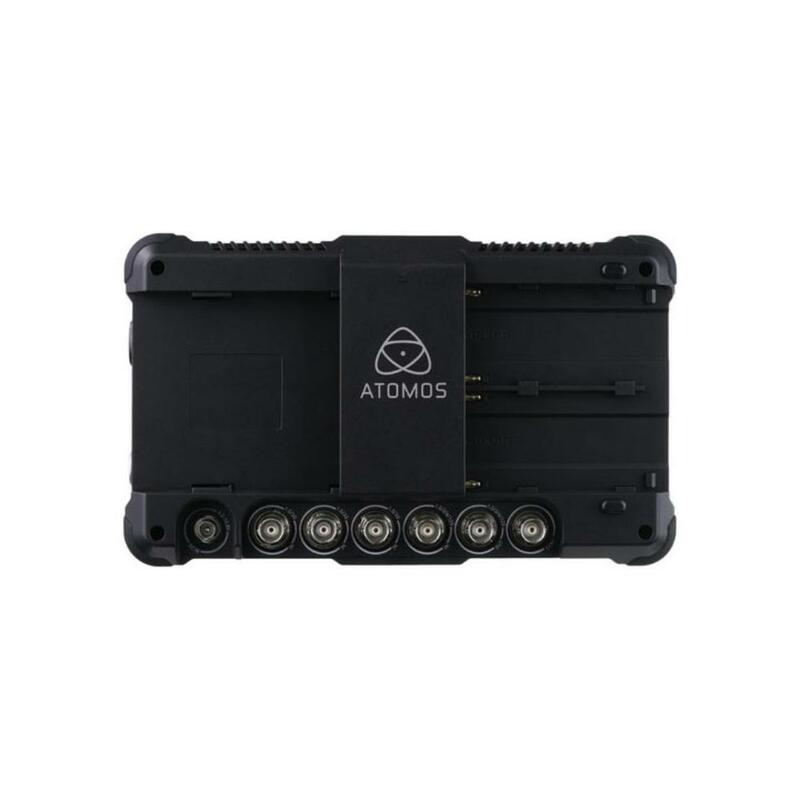 The dual L-Series battery plates allow hot-swapping for the (2) included batteries and for audio there are balanced XLR inputs with +48V phantom power. Built-in armor and a snap-on sun hood allows this monitor/recorder to withstand daily production use out in the field. • All of our Inferno recorders have been upgraded to the latest firmware, which includes RAW-to-ProRes RAW from the EVA1 in 4K up to 60FPS and 2K up to 240FPS. It also includes Sony Raw loop-out support, HLG support for the Panasonic GH5/GH5S, and more. • Dimensions: 8.4 x 5 x 1.8"